Born: 03/11/1791 Shoreham, Addison County, VT ― Died: 12/11/1852 Indian Point, Menard County, IL. Buried: Indian Point Cemetery, Menard County, IL. First in his Culver-line buried at Indian Point. 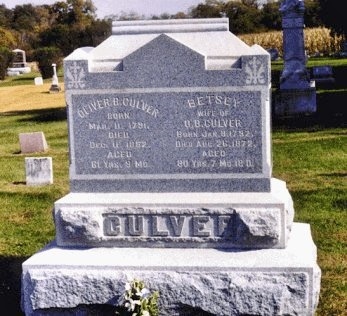 Link to Oliver Belden Culver Memorial at Find-A-Grave. Oliver Belden Culver was the son of Revolutionary Patriot, Eliakim Culver and his wife, Thede Belden. Oliver was named after his maternal grandfather, Captain Oliver Belden (1732 CT-1811 MA). Captain Belden was a Colonial Officer and Revolutionary Patriot, who served under Colonel John Brown of Pittsfield in a Massachusetts Militia. This Revolutionary Colonel John Brown is known as "the brave accuser of Benedict Arnold." One can assume that Captain Oliver Belden was close to that Revolutionary history, as was Oliver's father, Eliakim Culver. Oliver is mentioned in the early records of the town of Stockholm, New York as a road overseer in 1816, 1817 and 1819. Oliver, his wife Betsy Holcomb and their young family moved from Stockholm, St. Lawrence County, New York to Indian Point, Sangamon County, Illinois about 1835. 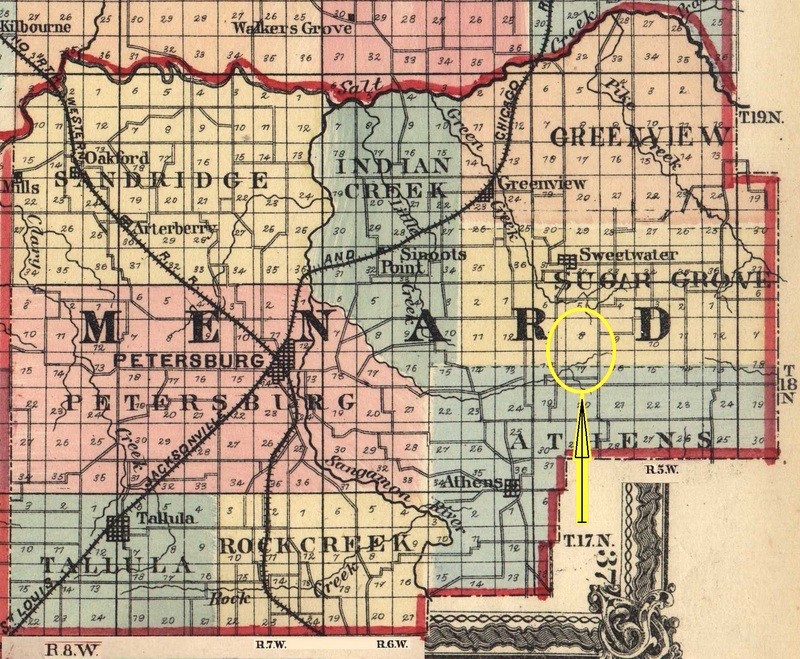 As a result of legislative actions by Abraham Lincoln and other Illinois Legislators, the area would become Menard County in 1839. Farming about twenty miles north of Springfield, IL and northeast of Indian Point, Oliver's pioneer family lived and worked near a young Abraham Lincoln at New Salem. A family story is that Oliver took wheat via wagon to be ground at the New Salem Grist Mill. That Mill supplied the surrounding countryside (as far as fifty miles away) with meal, flour and lumber. Oliver was only fifteen miles away. At the New Salem Grist Mill, Oliver would do business and discuss events of the day with a young Abe Lincoln. Years later, one New Salem villager recalled that Lincoln worked in the Mill "unloading sacks of wheat from farmers' wagons, measuring out and settling with them for the same." So the family story is quite credible. Another Lincoln connection is through Oliver and Betsy's daughter, Laura Stone Culver (1827-1881). Laura married Abel Wilder Estabrook (1815-1904) on April 23, 1846. They were married for 52 years. Abel, who earned his A.M. (masters) from Illinois College, served as principal and a teacher at Springfield Academy, a private subscription school on the west side of Fifth Street, between Monroe and Market (now Capitol) Streets. Abraham and Mary Todd Lincoln sent their eldest son, Robert Todd Lincoln, to Abel's Springfield Academy. 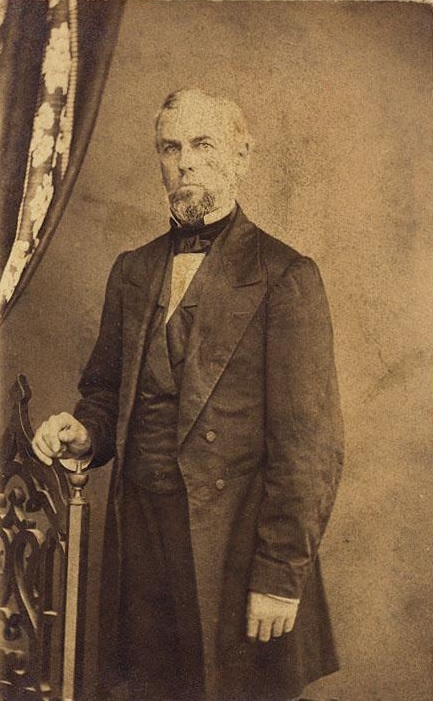 For three years (1850-1853), Abel taught Robert Todd Lincoln, Abraham and Mary's oldest son. Robert was aged 7 through 9 at that time. When the Springfield Public Schools began in 1859, Abel served on the school board, and was the first principal of the old Edwards School at Spring and Edwards. After the Civil War, Laura and Abel split time between Springfield and Rosamond (near Pana). Laura passed 28 Dec 1898; Abel passed in 13 Jan 1904. Oliver and Betsey were affiliated with both North Sangamon Presbyterian Church (Indian Point Presbyterian) and later Second Presbyterian Church (became Westminster Presbyterian in 1919). Serving on the Presbytery of Sangamon, Oliver was one of thirteen Presbyterian Elders of Presbytery who helped establish the Second Presbyterian Church on 26 May 1835. In its break with the First Presbyterian Church, Second Presbyterian and Rev. Albert Hale, the Church's second pastor (1 Nov 1839 - 1 Jan 1867), became known as the "Abolitionist Church." It is probably no coincidence that only two months after Rev. Hale's call to become pastor, Oliver and his wife Betsey formally became members of Second Presbyterian Church on 3 Jan 1840.
and Original Tract Sections Owned by Oliver B. Culver. Oliver was an active Abolitionist, and a member of the Illinois Anti-Slavery Society, as well as the Springfield Anti-Slavery Society, and signer of their Constitutions. Together with several family members and many friends, Oliver was one of the Springfield residents attending Elijah P. Lovejoy's Anti-Slavery Convention at Upper Alton on October 26, 1837 (see signers below). Just a week later on November 7, 1837, Lovejoy was murdered by an angry mob, and his printing press destroyed. On September 27, 1837, Elijah P. Lovejoy called for an Anti-Slavery Convention to discuss slavery and freedom of the press. 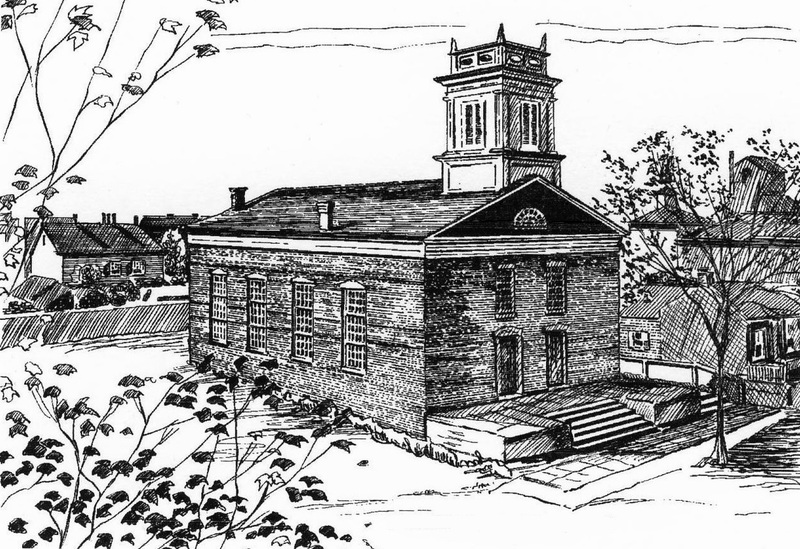 The Convention was to be held at Upper Alton, Illinois on October 26, 1837. One month later on October 26, 1837, Elijah P. Lovejoy�s call for a three-day Illinois Anti-Slavery Society Convention at Upper Alton was answered by 245 persons from ten Illinois counties. The list of those attending was the first public listing of Illinois Abolitionists. The call was signed by 255 individuals including fifty-six men from Quincy, forty-two from Galesburg, thirty-two from Jacksonville, twenty-three from Alton, twenty-one from Springfield, seventeen from Farmington, five from Chatham and seventy-two from other places. It is significant that no one south of Alton signed the Convention call. 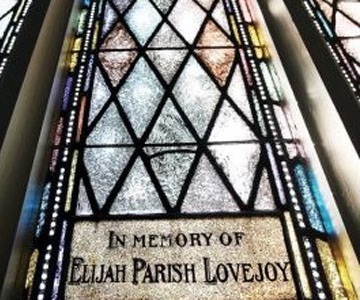 The list included the names of twenty residents of Springfield and thirteen original members of the Second (Westminster) Presbyterian Church, the "Abolitionist Church." The minutes of the convention are in the manuscript division of the Abraham Lincoln Presidential Library, Springfield, Illinois. "On Motion, Resolved, That the cause of Human rights, the liberty of speech & of the demands that the press of the Alton Observer be reestablished & located at Alton, with its present editors. And that with the assistance of our friends at Alton and elsewhere, and by the help of Almighty God we will take such measures as shall secure its reestablishment and Safety. Resolved, That we express our fraternal feelings towards the American Anti-slavery Society, and all others who are arising to promote the sacred cause of civil & religious liberty throughout the world, & engage to cooperate with them in all appropriate ways for the attainment of these great ends." The present aspect of the slavery question in this country, and especially in this State, is of commanding interest to us all. No question is, at the present time, exerting so strong an influence upon the public mind as this. The whole land is agitated by it. We cannot, nor would we remain indifferent spectators in the midst of developments so vitally interesting to us all, as those which are daily taking place in relation to the system of American Slavery.--We have duties to perform, as Christians and as Patriots, which call for united wisdom, counsel and energy of action. The undersigned would, therefore, respectfully call a meeting of the friends of the slave and of free discussion in the State of Illinois, to meet in Convention at Upper Alton, on the last Thursday of October. It is intended that this Convention should consist of all those in the State who believe that the system of American Slavery is sinful and ought to be immediately abandoned, however diversified may be their views in other respects. It is desirable that the opponents in this State of Domestic Slavery--all who ardently long and pray to witness its immediate abolition, should co-operate together in their efforts to accomplish it. We therefore hope that all such will make it a point of duty to attend the Convention, not thereby feeling that they are pledged to any particular course of action, but that they may receive as well as impart the benefit of mutual counsel and advice. It is earnestly to be hoped that there will be a full attendance at the Convention. Let all who feel deeply interested in this cause, not only attend themselves, but stir up their neighbors to attend also. And let each one remember that this call cannot be repeated. But for the destruction of the �Observer� press it would have been circulated some time since. It is hoped, that it will have some time to circulate in season to bring together a large number of our friends from all parts of the State. Female Child, b. 05/02/1819 Stockholm, NY; d. 06/14/1819 Stockholm, NY. Jonathan Segur Culver, b. 04/03/1821 Stockholm, NY; d. 01/09/1874 Indian Point, Menard County, IL; m. 08/17/1848, Elizabeth Shelton Brasfield; Buried: Indian Point Cemetery, Menard County, IL. Ann Jane Culver, b. 05/26/1823 Stockholm, NY; d. 01/19/1936 Springfield, IL; m. 02/25/1841, John Grosvenor Paine; John G. Paine is listed in Springfield, IL's 1850 Census as a "chairmaker." In the 1850 Census, the Paine's and Estabrook's (below) are listed as living immediately next to each other. Buried: Oak Ridge Cemetery, Springfield, IL. Sarah "Sally" Culver, b. 07/20/1825 Stockholm, NY; d. 07/24/1856 Indian Point, Menard County, IL; m. 02/15/1849, John Dillingham Brasfield; Buried: Indian Point Cemetery, Menard County, IL. Laura Stone Culver, b. 11/24/1827 Stockholm, NY; d. 12/28/1898 Springfield, IL; m. 04/23/1846, Abel Wilder Estabrook; Abel owned the subscription Springfield Academy. For three years he was the teacher of Robert Todd Lincoln, eldest son of Abraham and Mary Todd Lincoln. Buried: Indian Point Cemetery, Menard County, IL. Oliver's brothers also played important roles in building America. While Oliver farmed in central Illinois, his merchant brother in Ohio, Zoroaster Culver (1794 VT-1878 OH), had four sons who became business and civic leaders of Chicago's Golden Age (Howard Zoroaster Culver, Belden Farrand Culver, Charles Eliakim Culver and George Newton Culver). Belden Avenue in Chicago is named after Oliver's nephew, Belden Farrand Culver (1829 NY-1902 IL). Oliver's brother, Eliakim Culver, Jr. (1788 VT-1849 OH), served under General Henry Harrison at the Battle of Tippecanoe in Indiana, and his son, William Vincent Culver (1834 VT-1864 GA) perished at the infamous Andersonville Prison (GA). 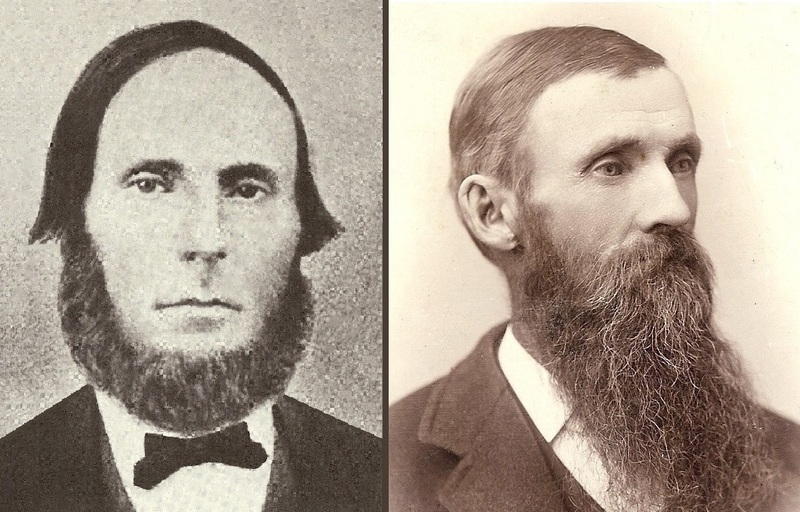 Brothers Samuel Culver (1796 NY-1873 IL) farmed near Bloomington, IL, and Lemuel Culver (1798 VT-1879 NY) remained in Stockholm, NY. Thank you for visiting Oliver Belden Culver's web page. Please come back again and visit often! "Culver Genealogy," http://familytreemaker.genealogy.com/DougCulver Doug Culver.